Thank you John Boone for Equipping Leaders! In our current culture that teaches we are to make ourselves so valuable to an organization that we become indispensable, it is difficult to practice the philosophy of working yourself out of a job or the concept of giving away your ministry. Yet this is what I was taught and trained to do early on in ministry. God reminded me of the blessings of such a legacy after leaving a luncheon in which I celebrated the retirement of a dear friend, John Boone. 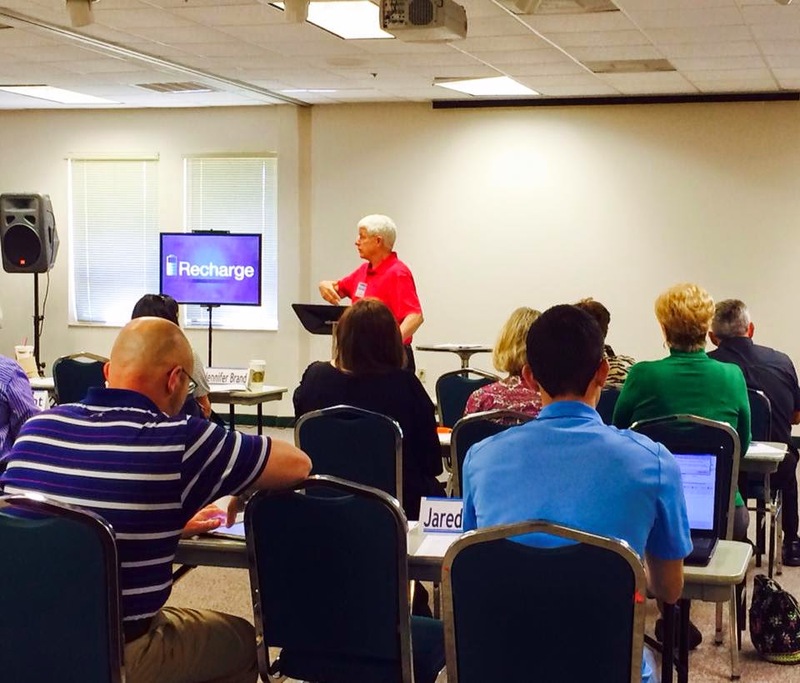 John has been the Florida Baptist Convention leader of Sunday School work for many years. His influence in my life goes all the way back to 1990. I was just beginning my journey as a Minister of Education in Panama City Florida, and I was invited to attend training hosted by the Florida Baptist Convention. John's investment in me, and later, his trust in my work, enabled me to help many others. It was through his ministry and the ministry of other leaders like him that I learned the concept of working myself out of a job by investing in others. Go back and study the process and purpose of equipping the saints as described in Ephesians 4:11-16. I think you will discover it is about working yourself out of a job by giving away your ministry. Determine how you can communicate to people your desire for them to discover that unique place of ministry God has planned that only they can fulfill. Provide help for people that will enable them to grow and thrive as they serve. As people develop and mature, move aside and let them continue to move the ministry forward. Celebrate the success of a ministry that is functioning with leaders in whom you have invested. Keep encouraging and equipping current leaders. Equipping is ongoing, not a one time event. Go look for others who can help you work yourself out of other jobs. Times have changed and so has church culture. We are working in a culture in which terms like "equipping the saints for ministry," "shared ministry," or "the priesthood of the believer" are not mentioned in many conversations. Can you truly set aside the ego driven influences of this culture and embrace the legacy and discipline of working yourself out of a job? If you do, your legacy may not be a building named after you, a book written about your work, or moving to a larger church. But, your legacy will be people, a mighty army of God's people, equipped for every good work. While many might not know John Boone, I know him because he was one of many who equipped me for every good work, and I will be forever grateful to John. He gave away his ministry to many more over his years of service, and the legacy is leaders who are working themselves out of jobs by equipping the saints for the work of ministry! Thank you, John Boone, for your ministry and friendship!